It would be impossible for me to tell you how old I was when an ad first made a lasting impression on me; however, I do clearly remember the ad. 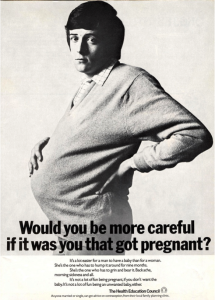 I would have been a small boy sitting with my mum in a doctor’s waiting room and the image of a pregnant man must have shocked me because I still remember it clearly today. At the time I didn’t understand the message but I could see something important was being transmitted and I could see that the ad was designed to shock. 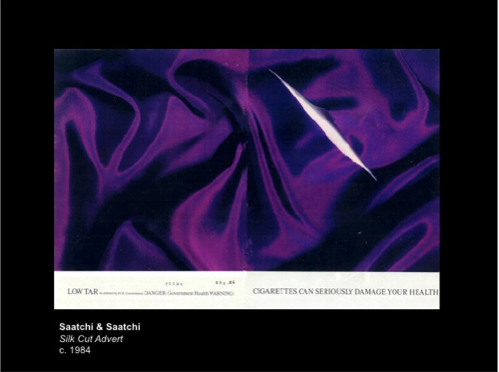 Many years later I would learn that it was produced by an agency run by a young guy called Charles Saatchi and that the ad would go on to form part of an advertising revolution that would see British advertising lead the world. In the modern splintered global advertising landscape it’s hard to imagine the place advertising held in the collective consciousness of 70s, 80s and 90s Britain. In those days the world wasn’t such a small place and the majority of work that agencies did was for local markets only. 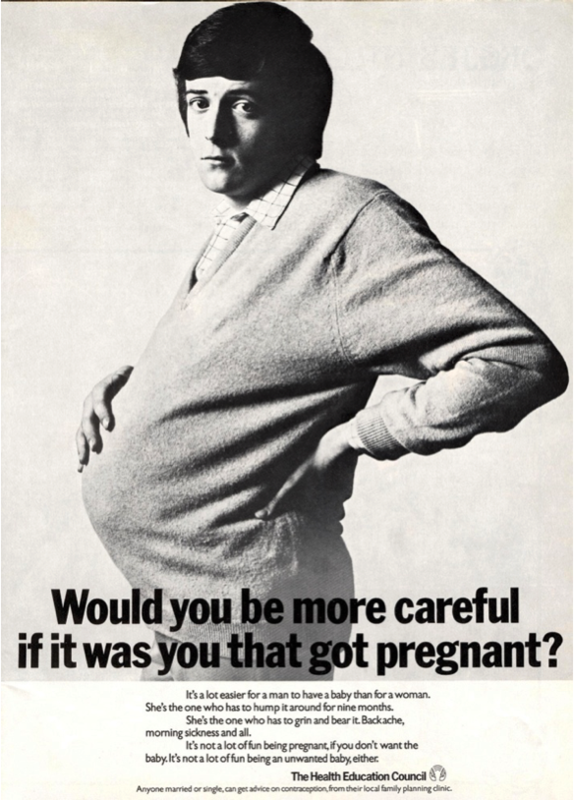 After the swinging 60s a new, young and hip breed of advertisers started to take over the landscape and Britain began to move away from the old stuffy gentlemen’s club of advertisers who were still producing ads that looked like public service notices. The result was fascinating; suddenly advertising became art, not something that interrupted your favorite program, but rather, something that added to the experience. Billboards didn’t tell you what to think anymore, they made you think. People in Britain started to love advertising and the advertising became more and more sophisticated. At the same time it became more and more focused to British tastes. This meant avoiding the hard sell, something which distinguished the Brits from their American cousins. Soon the whole world was looking to British Advertising and more ominously British advertising started to set its sights on the whole world. By the mid eighties Charles Saatchi and his brother Maurice were heading Saatchi & Saatchi the most successful of the leading agencies of the time and they were in the midst of a buying spree buying agencies all over the world, especially in the United States. After decades of unprecedented success it all ended badly when in 1995 the brothers were ousted from the company they had founded. It also coincided with what many people consider the beginning of the end of the golden age of Advertising in Britain. The hubris that once engulfed the British advertising industry finally faded away as the world moved on to a much more global market and the clients once again directed the agencies rather than the other way around. What didn’t fade away, however, is the work that was made in those years when the majority of homes in Britain still only had four or five TV channels and nearly everyone watched the same TV programmes. For people my age the slogans and campaigns of that era will be forever seared in our memories. 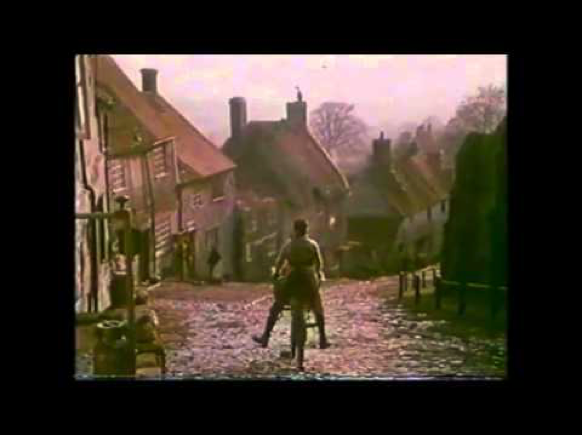 One of the most iconic TV commercials ever, directed by future Sir, Ridley Scott, Hovis’ “boy on a bike” still stands today a beautifully shot short film playing on our affection for a bygone time. How do you sell instant mash potatoes from a tin? 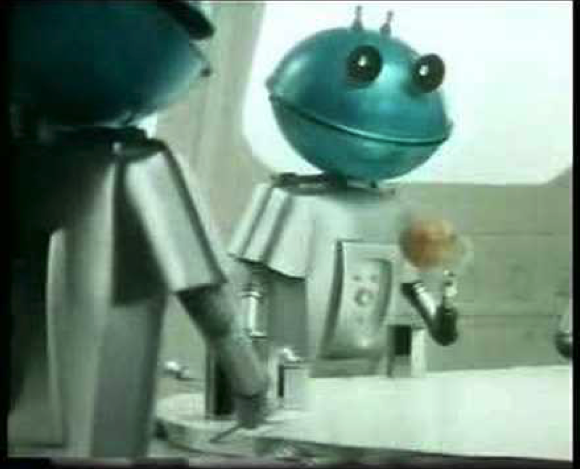 Easy, get some robots from outer space to laugh at our primitive method of producing mash potatoes. Still regarded as one of the best TV commercials of our time. 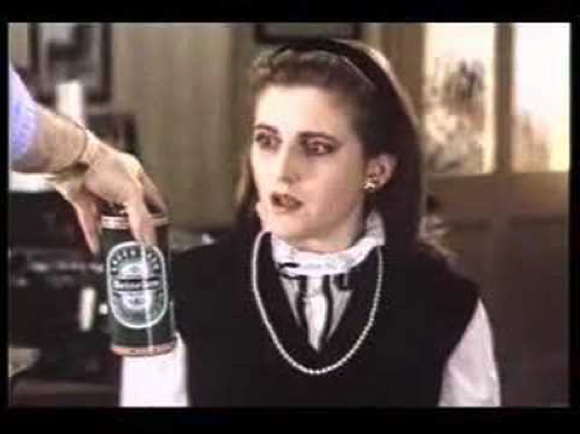 Forming part of a great tradition of advertising from Heineken here they play with the idea of the 80s phenomena “the sloane ranger” (rich London kids of the day who lived a life of leisure). The idea was simple and the execution perfect: turn my fair lady on its head. Something happened in 1982 and men’s underwear was never the same again. For better or for worse boxer shorts were to dominate men’s (and boy’s) underwear for many years to come. Why? Because Levis decided the best way to sell their jeans was by showing someone taking them off. And it worked. In fact it was so successful it not only sold tons of jeans but tons of boxer shorts too. At the time it wasn’t common to see princess Diana driving around in a Golf and it may have been for this reason that the actress Paul Hamilton was used in this fantastic commercial instead. So how can a lady leaving her lover’s flat in a huff possibly sell VW Golfs? The answer is beautifully simple and works on so many levels. Another an extremely simple but effective poster campaign. Only two words appear on the poster for a push up bra “Hello Boys” and of course, the beauty of this controversial campaign is that we are left not quite sure whom the words are addressing. This ad was part of a longer running campaign and it instantly became a runaway success with the audience. It starts with a tongue in cheek dig at some of the pneumatic tyre commercials of the day, which were renowned for being beautiful while at the same time leaving the audience confused as to what exactly it was they were selling. It then moves on to an altogether more surreal scene. The final outcome, however, leaves no doubt in your mind, it’s a product from Manchester, and it’s creamy.